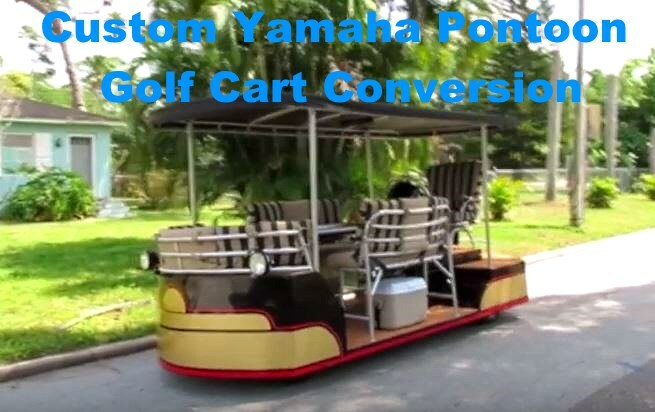 Somebody built this custom Yamaha G16 Golf Cart to look like an 8 seater pontoon boat. I have seen a lot of custom golf cart builds but this party mobile is like no other. Thanks to Tuber Steve G for the video and building this great looking custom golf cart. You can find parts and accessories for your Yamaha golf cart here.